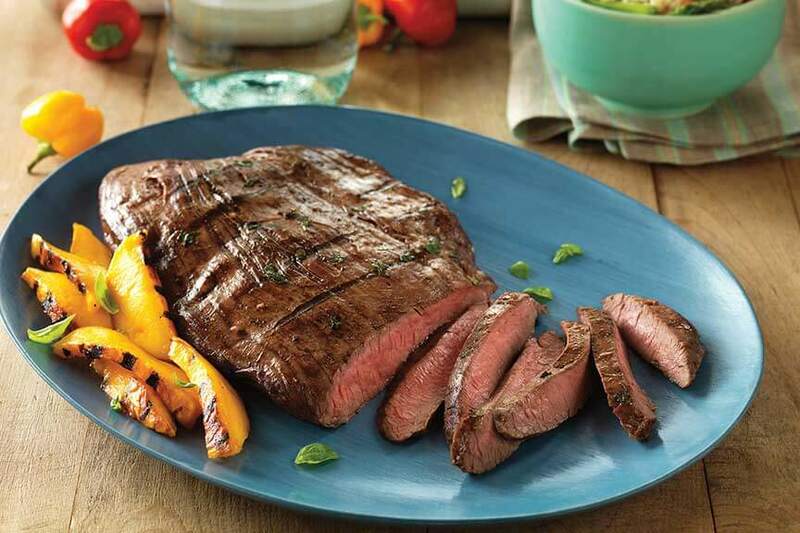 A tangy balsamic marinade gives a Certified Hereford Beef flank steak a great kick of flavor! Let the steak marinate overnight for an extra tender and flavorful meal. The best way to know if your meat is fully cooked is to check the internal temperature with an instant-read thermometer. Lean and flavorful. Slice thin against the grain when carving. An ideal choice to marinate.